MOSCOW, April 10. /TASS/. 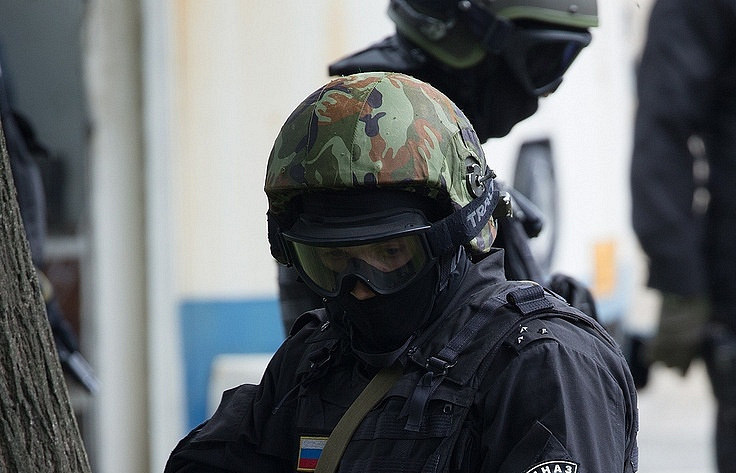 The Russian Federal Security Service (FSB) has foiled six terror plots, including at election stations and in a shopping mall, said Alexander Bortnikov, chairman of the National Antiterrorism Committee (NAC) and FSB director. "Three terrorism-related crimes were committed in the first quarter of 2018: in the Dagestan, Khabarovsk and Sakhalin Regions. Six terrorist plots have been thwarted," he said at a NAC meeting. According to Bortnikov, some terror attacks were foiled at election stations in the Ingushetia and Bashkortostan Regions during the Russian presidential election and in a shopping mall in Saratov. "In February, two criminals from the Islamic State international terror organization that is outlawed in Russia, who had been plotting a terror attack at an election station during the presidential election, offered armed resistance and were eliminated in the Nazran district in the Ingushetia Region during a counter-terror operation," Bortnikov specified. Two members of a far right group, who had also been preparing a terror attack at Ufa’s election stations, were detained in the Bashkortostan Region in March. Two home-made powerful explosives were confiscated. "Members of an IS cell who planned to commit a terror attack in a shopping mall in Saratov were eliminated the same month in the Saratov Region after offering resistance. Weapons and improvised bombs with the explosive power of about 3 kg of TNT were found," Bortnikov noted. Bortnikov also said that FSB has exposed 12 terrorist cells since the beginning of the year. "As many as 12 clandestine terrorist cells have been exposed. Since the beginning of the year, a total of 189 gang members and their accomplices have been apprehended, while 15 have been killed," said Bortnikov. The FSB chief added that the analysis of information concerning the fight against terrorism proved that leaders of international terrorist organizations still sought to inspire terrorist activities across Russia. "As a result of our efforts, the downward trend in the number of terrorism-related crimes in Russia has been maintained," Bortnikov stressed.